Should I install something on my computer to make it work? No, BowlingStats is completely Web based. This means that you have nothing to install on your computer. You will only need your Web browser. BowlingStat supports Microsoft Internet Explorer, Google Chrome, Mozilla Firefox, Safari and Opera. I do not know much about computers. Can someone can help me to set up my league? Certainly. Once you have registered your league, please contact us and we will help you to set it up. We can also give you guidance when you enter your scores for the first week. 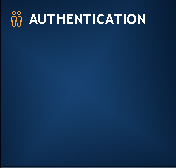 How do I activate the league after registration? Login to your account and click the "League Setup" menu associated to your league. You can then enter the basic parameters and the calculation methods for handicaps and points. Next, create teams, bowlers and schedule. Your recap sheets will be available as soon you create your schedule. Do I enter the scores each week? Yes you do. A web page displays the recap sheets of your teams every week. You can then enter the bowlers’ scores and others statistics specific to your league. This information may be modified at any time during the season. What are the Website limitations for a league? Number of weeks (full season): Unlimited for a period of one year. Number of weeks (half season): 18 weeks for a period of 6 months. I'm not sure BowlingStats is able to calculate our league’s statistics. 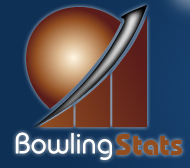 BowlingStats offers over 500 different teams and bowlers statistics. Do not see your statistics? E-mail us and we will analyze whether it is possible to add it. You can also calculate your own statistics using your weekly Excel report spreadsheet. In addition, BowlingStats provides the ability to create up to five custom statistics that will be requested when you enter your scores. For example, you can ask to enter the 69, 111 or the money earned by your bowlers for each match and include these statistics in your standings. Is it possible to print the recap sheets before the match? Certainly. You can even change the bowlers and enter games already bowled before printing in PDF format. Does BowlingStats have the ability to automatically generate my schedule? Yes it does. We are able to automatically generate schedules for 52 weeks, from 2 to 32 teams, based on Petersen's algorithm used by most people in the bowling industry. Can I create my own weekly report? BowlingStats provides Excel template files ready to use for your weekly report. However, you can create your own custom weekly report using any Microsoft Excel spreadsheet. Just insert the available standings in the cells of your choice and that’s it. You can also edit and modify each of them as you want. Excel provides you with the ability to create a multitude of statistics that a standard report generator wouldn’t do. For example, you can manipulate data from your standings using formulas and then create other statistics allowing you to add a new page to your report. Our league has teams grouped into divisions. Is this supported by BowlingStats? You can create up to six divisions and put your teams in each. Standings per division are also available for your weekly report. Can BowlingStats be used for our bowling virtual league on the Wii video games or the Kinect system? Absolutely. BowlingStats is the ideal application for this kind of league since it replaces perfectly a bowling league management system that we find in the bowling centers. Can I manage more than one league at the same time? BowlingStats is designed to manage more than one league with the same account. We suggest that you look at our packages to take advantage of our exceptional discounts.